Slow cookers are wonderful, truly. I love them. I cannot sing their praises enough. However, there are certain things that can be made even better when you skip the slow cooker. Pot roast is one of those things. Well, pot braise really. What is a braise? Braising is wet roasting (for the super short explanation). It is not unlike how the slow cooker cooks everything… but slightly different. 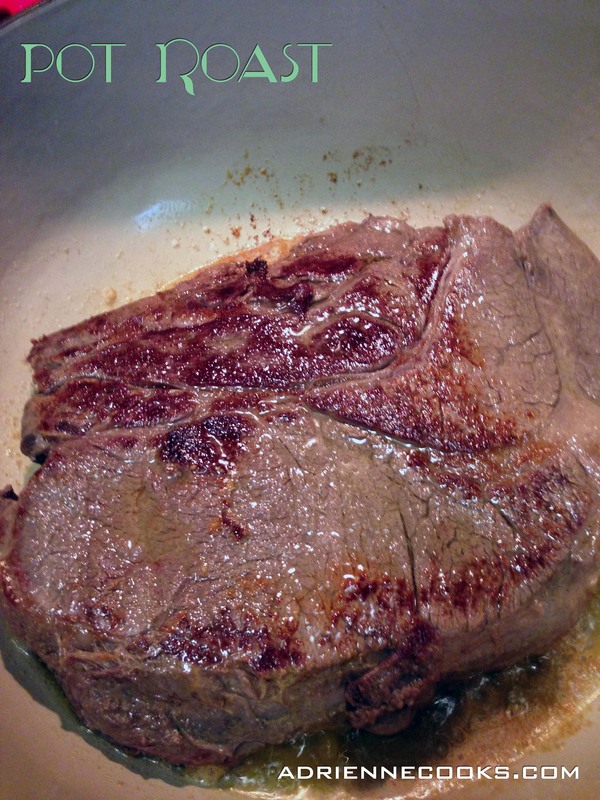 Braising allows for even, slow cooking without drying out the meat. 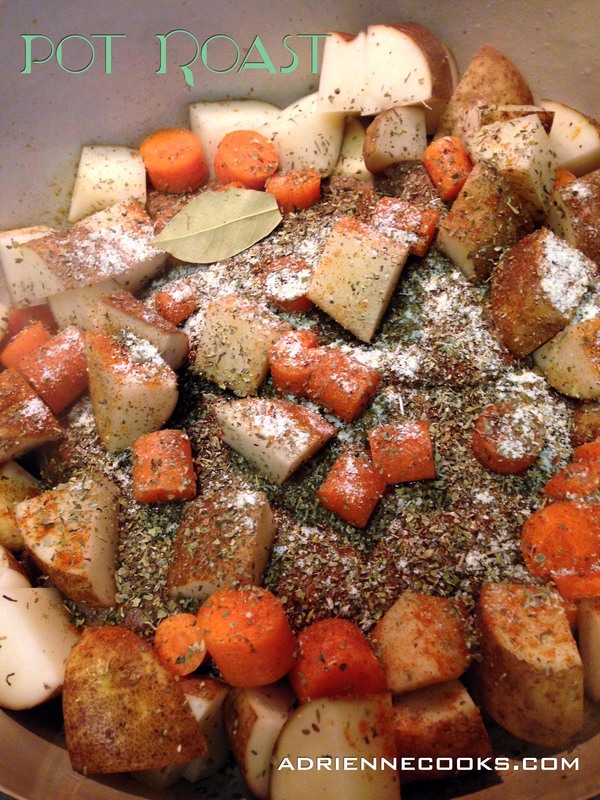 Why take the roast out of the slow cooker? First, you don’t get a nice cut of meat that just falls to pieces. Sometime (like with pulled pork) you want your meat to lose all structural integrity. Other times you want a nice slice of meat. With pot roast you want slices, not hunks that barely hold together. It looks better on a plate and is much easier to serve. Second, and really most importantly, FLAVOR. You can dirty up every pan in your kitchen and sear a roast before putting it in the slow cooker and only add your vegetables at the last hour, but really – HOW is that supposed to be MORE convenient? Convenience is the best feature of the slow cooker – if you overcomplicate the recipe you’ve lost the value. So here it is. The way everyone used to do it. (When not actually roasting in the oven – that’s a different cut of meat and another day’s recipe). In your heaviest, largest, lidded pot – heat 2 tablespoons of olive oil over medium high. Season your roast with salt and pepper liberally. When oil is hot, place roast flat side down in the center of the pot. 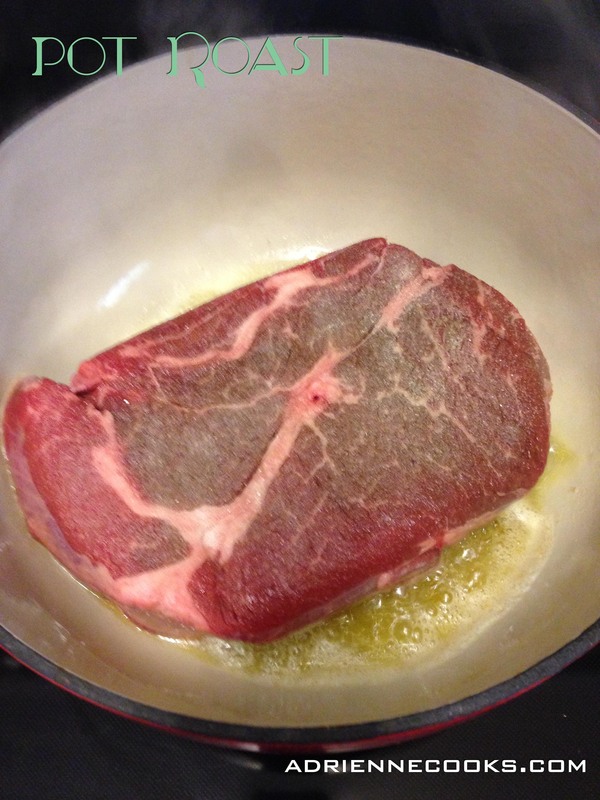 Sear for 2 minutes without touching it. Flip and sear the other side. After 1 minute of cooking on the second side, add the Worcestershire sauce and minced garlic. Add a bit of the broth so the garlic and Worcestershire don’t scorch, then add in the rest of the veggies and spices. Add the remaining broth and cover at a bare simmer for 2 hours. Remove the lid and let cook for an additional half hour if you want to reduce the jus (liquid in the bottom). Remove the bay leaves and discard. 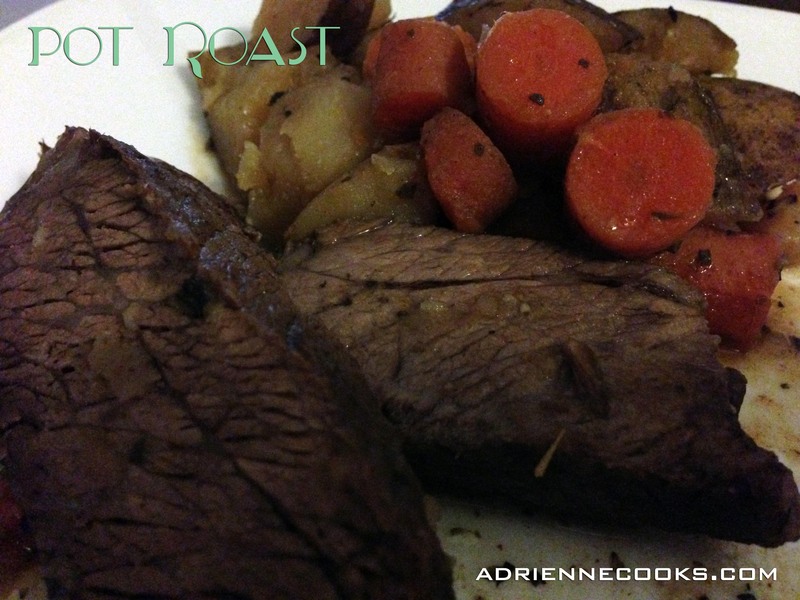 Remove the roast to a cutting board and let rest 10-15 minutes tented in foil. Slice a quarter to a half inch thick and serve with vegetables and jus. Enjoy! This makes EXCELLENT debris sandwiches… so save every single leftover bit! You’ll notice there is no onion in this recipe… just onion powder. I like this dish to be savory through-and-through. I don’t like the sweetness that well-cooked onions add. If you DO like this, simply add one medium onion, diced when you add the carrots and potatoes. I also use chicken broth rather than beef broth – this too is a personal preference. I find store bought beef broth tastes too artificial; I’d rather use my own chicken broth since I know exactly what’s in it or even store bought chicken broth just because it tastes better. 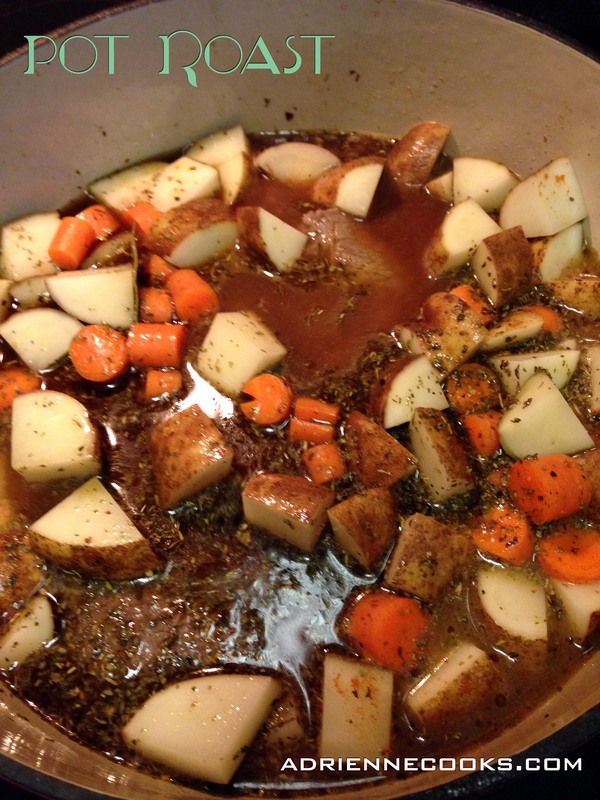 I never have beef bones to make homemade beef broth – thus the chicken!